PerioWest’s periodontist Dr. Andres Sanchez, is inviting new patients to his practice for consultations on advanced bone grafting in Minneapolis, MN, in preparation for dental implants. Using advanced technology, Dr. Sanchez is able to avoid harming unnecessary tissue whenever possible, decreasing healing times and increasing patient comfort. 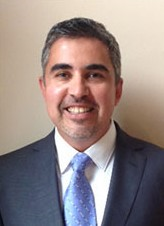 Highly credentialed periodontist Dr. Andres Sanchez, a Diplomate of the American Board of Periodontology, is welcoming new patients in Minneapolis, MN for bone grafting consultations at his cutting-edge practice in Eden Prairie. Prior to receiving dental implants, many with bone loss benefit from bone grafting treatment. There are a variety of bone grafting services but each add support to the jaw bone, and in the case of dental implants, ensure a higher success rate and lasting results for each implant placed. Jaw bone loss can occur for a variety of reasons, one being tooth loss. Statistics from the American College of Prosthodontics indicate that more than 120 million adults living in the United States have already lost at least one tooth. After tooth loss, the natural tooth root is no longer stimulating healthy bone growth and the jaw bone begins to degrade. Periodontists often recommend replacing teeth or entire arches with permanent dental implants rather than dentures or bridges, so patients can avoid complications such as bone reabsorption, gingivitis and advanced periodontal disease. During bone grafting treatment, a periodontist adds bone to areas of bone recession in the jaw bone. Over time, the bone graft becomes part of the original bone and strengthens the general area. Without bone grafting, patients in need of dental implants might not qualify for implants, limiting their functional and aesthetic oral healthcare goals. As a periodontist who trained at the Mayo Clinic and who is well-respected in his field, Dr. Sanchez regularly offers bone grafting to Minneapolis, MN and surrounding areas in the form of sinus lifts, ridge augmentations and other bone grafting procedures. To ensure the treatment is as minimally invasive as possible, he uses an advanced technique called Piezosurgery. Using advanced technology, he is able to avoid harming unnecessary tissue whenever possible, decreasing healing times and increasing patient comfort. Additionally, Dr. Sanchez utilizes regenerative growth proteins to speed up recovery so patients can return to their lives with the healthy smile they desire. To speak with Dr. Sanchez about bone grafting in Minneapolis, MN, please contact his office, PerioWest, at 952-479-4705 and receive a custom consultation. Those also interested in tooth extractions and dental implants can conveniently see Dr. Sanchez for all their treatments.